Have you thought about working with a career coach, but wondered if it would be worth the investment? This goal of this article is to help you do your own "cost/benefit analysis." For many of us, our ingrained response to dealing with life challenges is "DIY" (do it yourself). While self-reliance serves us well in many situations, sometimes it can actually hinder us from achieving what we want to in life. In the work arena, many people wait until their career-or their sense of well-being-hits rock bottom before seeking the assistance of a career counselor or coach. And, even when people know that they are miserable in their work, or that their job search isn't working, they delay seeking assistance. They may feel as though they should be able to fix their situation on their own. If this describes you, here are some thoughts to help you decide if you should consider career coaching for yourself. If you want to change careers, but are unclear what career path fits you best, career counseling/coaching expedites the process of determining your new career direction and making your transition. Professional career testing, a systematic approach to finding your career fit, and feedback/guidance from someone who has helped hundreds of others make career changes can help you make the best decisions for your career and life. In addition, career guidance from a qualified Christian career counselor can assist you with issues of God's calling in your life. If you want to evaluate whether your current job is the best career for you, professional career guidance can help you efficiently and thoroughly assess how well your job fits your God-given design, compare it with other career options, and discern where God is calling you to be at this time in your life. You will gain confidence that you are on the right path with your life. 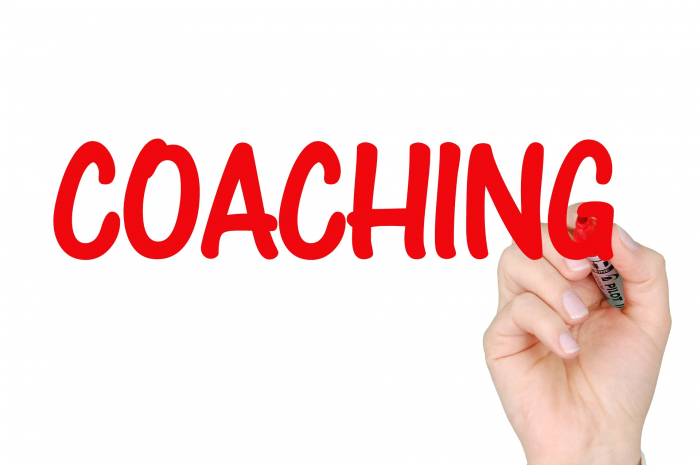 If you are job searching, and need to find employment as quickly as possible, career coaching can help you to conduct the most effective job search for your particular job target. In this economy, old ways of job searching will delay your employment. Responding to Internet ads as your primary means of searching will almost guarantee extended unemployment. A skilled career coach can help you to develop targeted job search tools (like your resume), hone your skills for marketing yourself to employers, and design a strategic game plan for finding your next job. You may be thinking, why can't I just read a career book or take some free tests on the Internet, or get some input from friends and family to get on track in my career or job search? You certainly can do all of those things, but are you confident that they will help you make the best decisions and take the right actions? Information is not enough; you need both the right information and the skills to utilize it effectively. It's one thing, for example, to read a book on financial planning or to take a self-assessment on your risk-tolerance in investments; it's an entirely different experience to work with a skilled professional financial planner who is working with the financial details of your life, answering your specific questions, guiding your decision making, and bringing to bear his or her years of experience successfully helping others achieve their financial goals. In the same way, a career counselor/coach provides professional, personal assistance to help you achieve results more quickly and confidently. So, given your choice, do you think a book or a professional counselor would be of more assistance to you in accomplishing your career goals? The second question in your cost-benefit analysis of professional career coaching is whether it would be a good investment for you. Would the benefits be worth the cost? This is an especially important question if you are unemployed and job searching. We can fully understand the concerns of someone who has limited financial resources and is trying to decide the best way to use them, especially in a difficult job market. If, however, a lack of knowledge, lack of confidence, or some other factor is hindering you from obtaining employment, and a qualified career coach can help you remove or significantly reduce that obstacle so you can obtain employment, wouldn't you find it to be money very well spent -- possibly paying for itself several times over? You need to ask yourself what your success is worth to you. Whether "success" for you means finding a job or making a successful transition into work you love, are your career and life worth investing in? Many people have found that working with a career coach is the key factor in achieving career success. A professional career counselor/coach provides expertise, support, structure, and accountability just when you need it. Making a career change or job searching can be daunting. All of our insecurities and fears tend to rear their heads; our comfort zone tries to entice us to stay put; our friends and family may give discouraging or faulty advice. Working with a coach you trust, who has your best interest and goals in mind, can help you move forward to achieve your goals despite internal and external challenges. When others give up, you are successful. What is that worth to you? If you are ready to make some positive changes in your life and to achieve the results that you have only dreamed about, then take the next step. Schedule a free career consultation with Kevin Brennfleck or Kay Marie Brennfleck, National Certified Career Counselors. They would love to hear about your life and discuss how professional career coaching can help you become the person God created you to be and do the things He designed you to do. Don't wait-schedule your free consultation session today!